What Does Our National QIP Accreditation Mean To You? Lara Village Dental proudly announces that we have recently been accredited by QIP. We have system in place to ensure that you are always receiving safe and excellent dental treatments in our clinic. What is QIP national accreditation and why does it matter? Lara Village Dental proudly announces that we have recently been accredited by QIP, which stands for: Quality Innovation Performance. QIP is part of the AGPAL Group of Companies which includes Australian General Practice Accreditation Limited (AGPAL), the leading general practice accreditation provider in Australia. AGPAL is also a not-for-profit, health promotion charity. QIP national accreditation program is a completely voluntary program, and is aimed to promote continuous quality improvement. 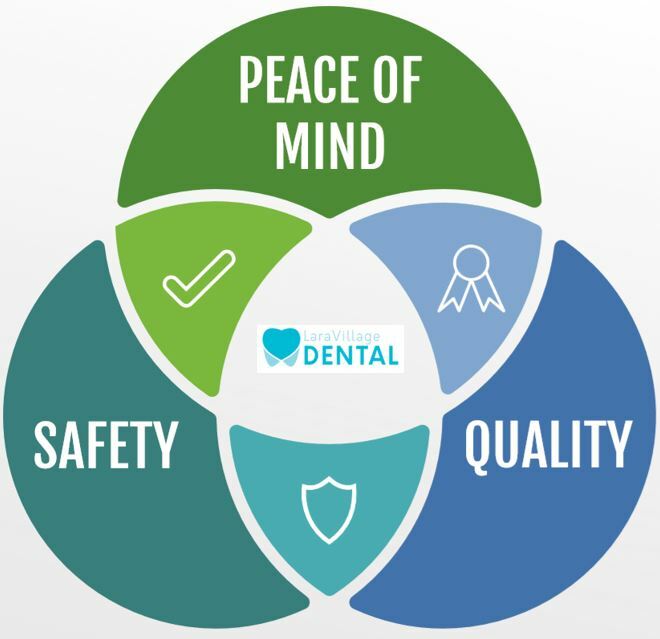 The accreditation is assessed based on the integration of a set of National Safety and Quality Health Service (NSQHS) Standards into the dental practice culture and patient safety. Why does this mean to you? In short, QIP Accreditation ensures: safety, quality and peace of mind for all our patients. QIP Accreditation acts as an independent review and recognition of Lara Village Dental’s efforts to meet and exceed the NSQHS Standards in our daily management. It proves that we are compliant with the existing national, state and territory legislation and guidelines. Our patients’ health and safety is reinforced by the highest possible level of safe practice. In order to become QIP accredited, all staff at Lara Village Dental will have to self-evaluate against the relevant criteria in the NSQHS, which comprises of patient identification, medication safety, infection control and prevention, procedure matching. Once the self-evaluation process is completed, an independent reviewer will be examining our practice to ensure that 100% of the actions listed in the standards have been met satisfactorily. It is only then we were granted the QIP accreditation status. By choosing Lara Village Dental, you know you will be receiving treatment that is in line with the highest national standards. QIP accreditation provides you with extra peace of mind, because you know that all our staff are educated and trained to strictly follow the infection control protocols, with your well being at the centre of our focus. Or call our friendly team on 52825272. PreviousPrevious post:10 Surprising Causes of Dental DecaysNextNext post:How To Look After Your Teeth During Holiday Season?